Captain Curt’s Crab and Oyster Bar on Siesta Key is a popular and top rated seafood restaurant with a charming “Old Florida” feel. It is the place to go with your group or family for reasonably priced menu items in a casual dining setting where you can just relax and be yourself. The restaurant features daily rotation of live local musicians and bands for your listening pleasure, and you can even check the website or call ahead to find out what band or genre of music will be playing that day. Aside from the seafood dishes there are plenty of traditional American entrees available along with an extensive appetizer and tapas menu. If you are looking for things to do during your vacation, you must try the award-winning clam chowder which has won several awards in competition with international and local Siesta Key restaurants. One of the first things you’ll notice about Captain Curt’s is the warm and welcoming staff, great service, and a menu that is vast and enticing. This restaurant is sure to serve exactly what you are craving or something close to it, including popular appetizers like the cod and grouper fish nuggets, crab cakes with premium Maryland lump crab meat, calamari, peel and eat shrimp or fish dip. If you’re feeling a little more adventurous you might order the gator bites, made from real locally farmed alligator. Entrée options include the combos which come with sides and optional salads and a wide range of meat options that can be mixed and matched including white fish, shrimp, scallops, ribs, lobster, crab and steak. A selection of baskets with fries and coleslaw are also available that feature many of the above-mentioned options along with calamari, oysters and chicken. 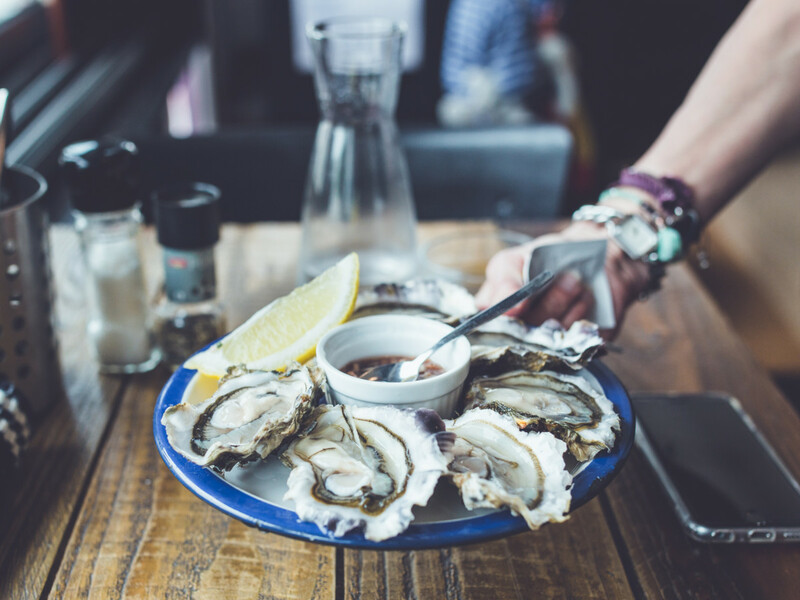 A raw bar with fresh steamed and raw oysters, and cooked clams or mussels is available with a selection of affordable sides including French fries, onion rings, coleslaw, potatoes, rice and bread sticks. You can also order several different seafood sandwiches and burgers, seafood dinners with fresh Mahi Mahi, cod, lobster, crab legs, oysters, scallops many other choices made with local seafood. Don’t forget to order a bowl of the world-renowned clam chowder at Captain Curt’s, which won first place at the Great Chowder Cook Off in Newport, Rhode Island! This competition is known for pitting some of the top seafood restaurants in the world against each other, so Captain Curt’s is certainly in good company as a past winner. If you really love it as most have, you can even buy a homemade chowder kit to make it anytime you want! Captain Curt’s was rated as the best family Siesta Key restaurant by the Travel Channel. Both locals and tourists seem to agree, as you’ll often find the restaurant packed on any given day of the week. This top dining spot is located just a brisk 10-minute drive from Tropical Breeze Resort. Be sure to grab a bowl of chowder or a seafood dinner there, or perhaps just a drink and some oysters. Along enjoying delicious seafood, you can also listen to some interesting live music at Captain Curt’s if you are looking for things to do while you’re staying at Tropical Breeze Resort on Siesta Key! Give us a call at 941-349-1125 if you have any questions about restaurants on Siesta Key or if you would like to book accommodations.